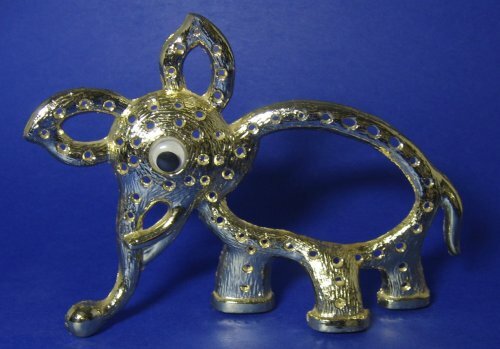 Vintage Torino Elephant Earring Tree Display Holder - Fabulous! FABULOUS Elephant with moving eye. TORINO - quality earring tree Display Holder! Display your pierced earring treasures on this wonderful tree! Goldtone vintage Torino. Measures 4 1/2" tall x 5 1/2" wide. Embossed TORINO copyright. Good condition with no apparent wear on front or back.